Several books have been written about monopoly over the past few years, and several more are still to come. 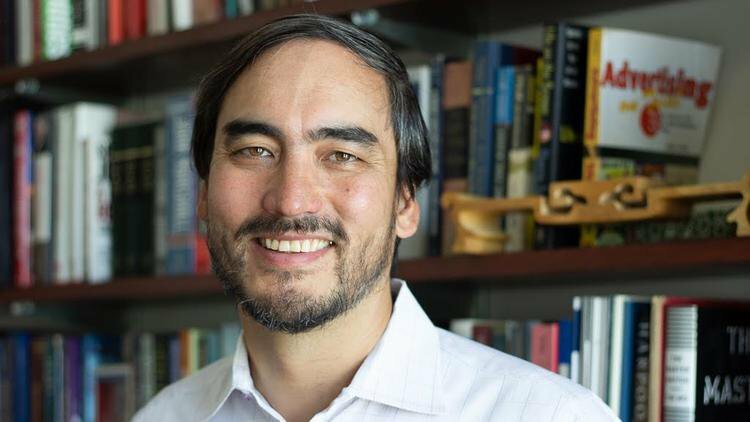 But none are as succinct and pointed as The Curse of Bigness: Antitrust In The New Gilded Age, the new book from Tim Wu, the Columbia University law professor and former Federal Trade Commission advisor perhaps best known for coining the phrase “net neutrality”. Wu sat down last week with GCR’s Ron Knox to discuss fascism, breaking up Facebook, and replacing the consumer welfare standard. A highlight of the book was the connection you drew between concentrated economic power and the rise of neo-fascism - and strongman, authoritarian-style leaders - around the world. Can you explain the links you see between those two things? Wu: These are historic links. A lot of people after the Second World War noticed there had been a major role played by concentrated industries and monopolies in Germany and Japan, and other countries that didn’t have antitrust enforcement, didn’t have any policy for breaking up monopolies. They noticed that, first of all, the conditions of inequality created by concentrated economic power created a lot of economic misery. And second, at crucial moments, having that much power in a few hands made it possible to consolidate and reinforce the power of the dictator. There was a point in German history where Hitler was a little bit on the ropes and he basically got saved by IG Farben and also they recruited other German monopolists to help. I think at a minimum we’re involved in a dangerous experiment, at a time of great economic misery around the world, and we’re also experimenting with allowing monopoly and oligopoly both global and national. That’s basically the thesis of those parallels. Obviously there are a lot of differences, but I think we need to be careful. Your book also details the long arc, over the past 30 or 40 years, of the degradation of antitrust enforcement and perhaps the failure of those who enforce the law to keep up with a rapidly changing economy, rapid concentration in a lot of different industries. A lot of that was due to a philosophical change in how the antitrust laws were approached and enforced. You were in the FTC for a year. Can you describe how that philosophy manifested during your time at the agency? Both at the FTC [in 2011] and at the New York Attorney General’s office [2015-2016], you had agencies I think that were struggling for respect, and to do opinions and cases that they had a lot of confidence in. They were confronted by a series of business models that they understood at some level, but they didn’t really have the tools to act on them with any confidence. And they operated within a framework based on a price-centric model, which so often led to inaction – even though the people were really well intended and wanted to bring cases. But so often, even for things that really seemed kind of egregious, somehow there would be some missing link, price-wise. It led to a level of inertness that was not suited to the times. I’m not the only person to talk about the mergers that were let through over the past 20 years. But you look back at it and sometimes you have to judge things by the big picture – their macro consequences. So many industries were allowed to merge into tight oligopolies. At some point someone has to call it out, and say something is wrong with your methodology here if this is what we’re ending up with. The weird part is that on the inside, you understand how this happened – but on the outside, it doesn’t make any sense. That is important perspective. You offer a few different potential solutions - ways to correct course and continue enforcing the antitrust laws as legislative intent would have it, and has been done in the past. You talk about a protection of competition test as a replacement for a consumer welfare-oriented test. Can you explain what a “protection of competition test” would look for? It seems really intuitive: you’re supposed to be protecting competition! How is that different from what happens in practice today? I think the problem with the consumer welfare standard is that – whatever its merits were in its original construction, and there are a lot of good people who have tried to do a lot with it – it suffers a fatal flaw. In practice, it reduces to a burden on the plaintiff to demonstrate price effects from any anticompetitive conduct. That is OK for price-fixing cases. It works OK for mergers to monopoly. For everything else, it doesn’t work. Especially exclusion cases that are the backbone, in my mind, of what antitrust law is supposed to be about – big monopoly cases based on exclusive behaviour. The consumer welfare standard has never been successful for those. The times it has been, like in the Microsoft case, they have to fudge it a bit, and they just assume exclusion will lead to consumer welfare damage. But it’s always in danger – it tends to run toward this price screen problem. So I think we should return to something that is still in the case law, that is still seen as a standard by so many courts, and that is the protection of competition, and the protection of the competitive process. I think it puts the judge and the agencies in a much better position, a more suitable position, where they are confronted with conduct and, based on their best economic reasoning, have to say whether it is part of the competitive process or is it a deviation from it – a foul. In the book, and certainly in my academic writing, I talk about how you can view this as sports refereeing. The referee in a soccer game or football game doesn’t try to maximise fan welfare. They call fouls! They don’t want the game to get ruined, and they don’t want the competition to be destroyed, so they call fouls. We have this idea that we’re going to try to figure out whether some foul actually caused play in this instance to be hindered, might it not have had an effect – you have to prove all these things, and a lot of these things are unprovable and unknowable. But that’s how you design rules for competition. It’s put judges and enforcers in an impossible position, and in some instances it’s led to the nullification of the law. I very strongly feel that this is an important move. And I feel that people are starting to switch. The other day, Carl Shapiro, the famous economist [and former deputy head of the Department of Justice’s antitrust division - ed], said that whatever merits it once had, consumer welfare has become tainted. You know, I think that’s where we need to head. Right - and Fiona Scott Morton said on Twitter that, maybe they didn’t get it right, and maybe they didn’t do enough during the Obama administration. You also talk about some real structural fixes to some of these issues. In the book, you talk about spinning off WhatsApp and Instagram from Facebook. What appetite do you see out there right now for that kind of intervention – which, for better or worse, is seen as the extreme solution? I think the public appetite is more than strong. It’s like, what are you waiting for? Even among business people, they think: Why don’t you do that, why are you waiting? I haven’t met anyone who really thinks it would be the end of the world if we broke Facebook up. So the public reaction is: Hurry up! It’s only inside the world of the antitrust establishment where they say, “Oh my God, we can never think about that!” Well why not? It’s the original remedy of the law. I think there’s a problem with any kind of group that hangs out where certain things become taboo, and breakups are seen as extreme. Breakups, structural relief, is the mainstay of antitrust traditionally. I don’t think we’d be hard hit; I don’t think the loss of efficiencies would be some kind of tragedy. And I think having an aggressive WhatsApp and Instagram competing with Facebook would be a very good thing – in my view, much better than insulating a Facebook monopoly through regulation. Now, if you’re asking what I think the appetite is among enforcement officials – I’m not in the agencies now, but I think people sense that the public wants something. I want to go back to Theodore Roosevelt. Part of Roosevelt’s brilliance was to understand the power of antitrust to deliver on what people wanted – mainly a curb on private power – that didn’t involve massive over-regulation, or socialism, or other unseemly outcomes. I think that’s what people would want, and it would be extremely popular, that lawsuit. Or maybe another lawsuit – maybe breaking an airline, maybe taking stronger action against pharmaceuticals. I think those would be popular, and people would feel like the government was doing what they want. And also, they would be good for the economy. So I see it as all green lights, and I think the agencies will start to see things that way too. Courts are the final frontier – but I think we can get through the courts as well. Tim, thank you. Surely our readers can acquire your new book on their favorite monopolist bookseller platform - and perhaps at their local bookstore as well. I don’t mind the irony of buying it on Amazon. I lived through the ’90s. I’m cool with irony.